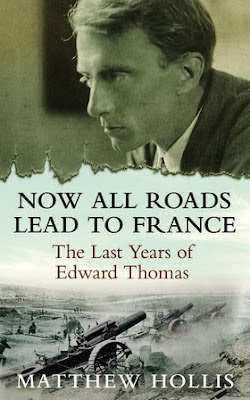 I've just finished reading Now All Roads Lead to France: The Last Years of Edward Thomas by Matthew Hollis (Faber & Faber). 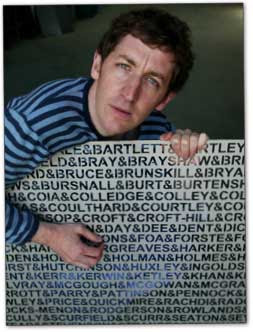 Matthew Hollis is an editor at Faber and a poet and was tutor on an Arvon course I attended in Yorkshire some years ago. This is a fascinating read, partly because Thomas is such a complex character and partly because Hollis tells the story so well. He places the poet within the literary scene of the times with much reference to and discussion of contemporary writers including small parts for Yeats, Eliot and Pound. Edward Thomas had scraped a living as a reviewer and as a writer of twenty prose books, many of them travel books. Though he had a reputation as an important critic he despaired of making a living as a writer and was very unhappy in his marriage. In 1908 he even considered suicide. He then met the American poet Robert Frost, who had come to England to make a fresh start as a poet and under his influence started writing poetry at the end of 1914 believing like Frost that poetry should employ the natural cadences of ordinary speech. On the outbreak of war Frost returned to the USA and after months of indecision Thomas joined the army and was killed on 9 April 1917 at the start of the battle of Arras. His first collection of poetry was published six months after his death. Since then Edward Thomas' reputation as a poet has continued to grown in stature. The book is a great read, full of wonderful insights into the pre-period. 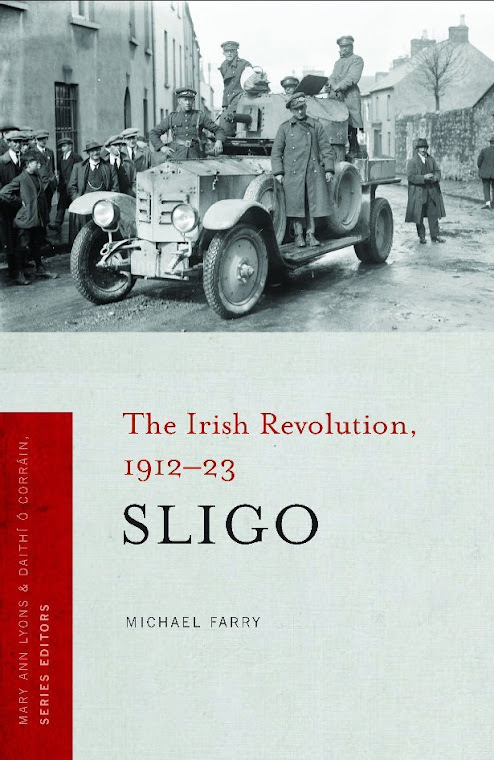 Francis Ledwidge even gets a mention though few on this side of the Irish Sea would have called him a "republican" as Hollis does in the book! The book won the the 2012 Costa Biography section award. Loads of reviews online including this one. The author reads from the book here. Adlestrop is probably his most well-known poem. This is always an enjoyable festival to attend. 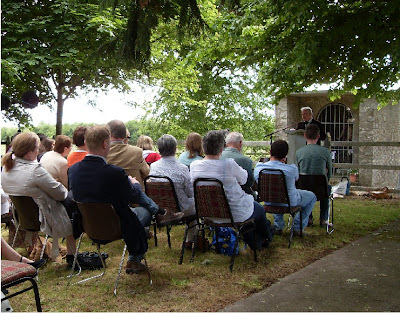 The outdoor reading near Goldsmith's birthplace in Longford on the Sunday is usually great featuring two well-known poets and readings by the poetry prizewinners as well. 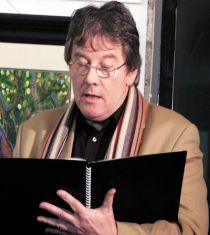 Above: Richard Halperin reading three years ago. I've had some success in the past in the competition, getting placed on two occasions. You can find some details of this year's event and an entry form for the competition on the website. Poems must be unpublished and no more than 35 lines long. This years' festival will be held on the weekend of 1-3 June and the theme is Citizens of the World - What can my country do for me? Annual Patrick Kavanagh Poetry Weekend, Sat 28th - Sun 29th April 2012. Director: Noel Monahan (right). This course is suitable for beginners and those who have written some poetry. The director welcomes all emerging poets both national and foreign nationals to this creative weekend. 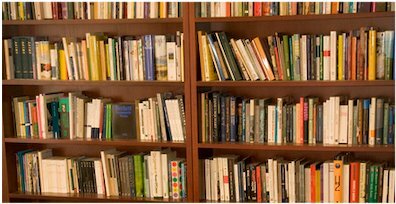 • getting your poetry published. 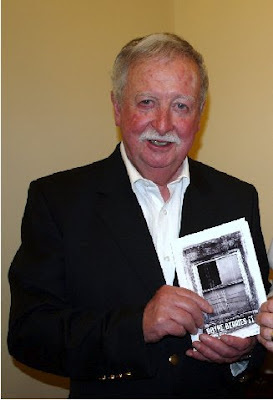 Noel Monahan has published five collections of poetry. His most recent publication was Curve of The Moon published by Salmon poetry in 2010. He has kindly read my new collection and has contributed some generous comments which are included on the back cover. Prole Laureate Competition - Third Prize! Another Yipee!! My poem The Truth has won third prize in the Prole Laureate competition, 2012, a competition run by the UK based poetry and prose magazine. The judge was the wonderful young poet Andrew McMillan. The Truth is a fairly recent poem of mine, not in the forthcoming collection, which goes down very well at readings. However I did doubt its impact on the page and indeed it was not even long-listed in a recent Irish competition. Just shows taste varies enormously in poetry. The results may not yet be posted on the competition page but are announced in the magazine. The three prizewinning poems are printed in the latest issue of Prole with the judge's comments. Winner was Marilyn Francis and second place was won by Cathy Bryant, both young, UK and female. A lesser poet would have taken pages, or maybe even a full collection, to say what Farry distils here into a beautifully simple poem. Ideas of genealogy, ageing and truth are handled with great care and given the space they need to breathe in the short, sparse lines. The ending is heartbreaking and well earned through a poem which builds itself on allusion, on half-told stories, on broken trusts; what sort of style could better imitate the life so many of us have known? I'm delighted and flattered. You can order the magazine, hardcopy or pdf version on this page. A bumper issue, over 100 pages, with high quality prose and poetry. A good night at the first of this year's Boyne Readings and Open Mic. 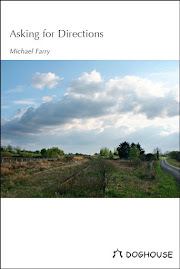 Michael Slavin gave a very interesting account of the background and genesis of his books, The Book of Tara, Great Tara Legends, The Ancient Books of Ireland, Showjumping Legends Ireland 1868-1998, and read extracts from each. He would never be a poet or novelist, he told us, he wrote books which he felt needed to be written to supply a want. 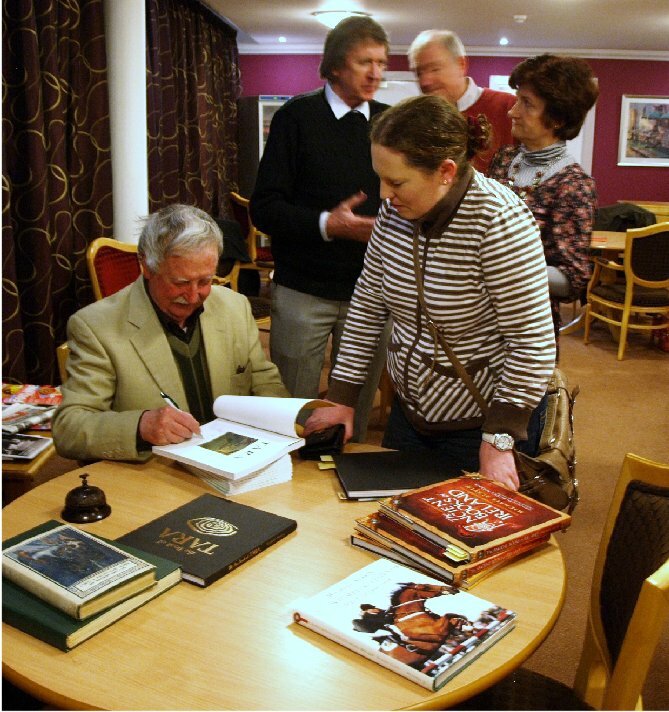 His enthusiasm for his subjects was clear and his readings and explanations were warm, friendly and well-received. Quite a number of his books were sold on the night. Michael pictured above signing copies of his books. The Open Mic was great with many members of the Boyne Writers Group reading new pieces and older pieces, some of which were changed since we last heard them. Tommy Murray of the Meath Writers Circle read from his new collection, Swimming with Dolphins (Lapwing) which will be launched in Navan Library on Thursday 24 May. I read two poems, one of which was the translation of the sixteenth century elegy by Tadhg Dall O'Higgins. A former school principal near Trim, Peadar Ó Liatháin, well known to most of those in attendance, had died earlier that day so this was in the nature of a salute to him. Peadar was a native of Cúil Aodha, Co. Cork and an Irish poet of note. He was cléireach (secretary) of the annual Dáimhscoil Mhúscraí Uí Fhloinn and wrote An Cheist which other poets were expected to respond to in poetry. Boyne Writers Group are resuming their Boyne Readings and Open Mic events over the next three months. The events will take place in the Coffee Shop of the Knightsbridge Retirement Complex, Longwood Road, Trim. Park in the main car park to the right and enter by the main entrance. The Coffee Shop is on the immediate left. The featured reader on this Thursday, 19 April, will be Meath resident, writer Michael Slavin (right). Michael has been an equestrian correspondent since the 1960s. He also commentated on show jumping events for RTÉ Radio Sport. He is the author of Showjumping Legends Ireland 1868-1998, The Ancient Books of Ireland, The Book of Tara and Ambassadors on Horseback: the Irish Army Equitation School. He now runs an antiquarian book shop at the Hill of Tara. The evening, which starts at 8pm will include an Open Mic where members of the public and read their own work, poetry, prose and there will be tea, coffee and biscuits. Featured reader for May will be Trim poet, Tommy Murray of the Meath Writers Circle, and for June, Orla Fay of the Boyne Writers Group. Some time ago I was asked for a piece about an inspirational teacher. I wrote a short piece on Fr. Tom Lynch who taught me History and English in St Nathy's College, Ballaghaderreen in the late 60s. 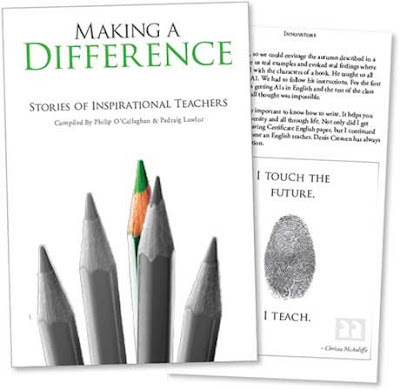 The piece has been included in the recently published book Making a Difference – Stories of Inspirational Teachers. My piece is called A Down-to-Earth Approach to Learning. I actually forget if the title is mine but it does reflect Fr. Tom's approach to learning, history and literature. I also sent them a poem of mine called Retiring Teacher, originally published in Revival Journal, Limerick and this is also included in the book. The newly released, Making a Difference – Stories of Inspirational Teachers, is aimed at all educators, whether they be teachers or parents to reflect on the powerful formative impact their direction, encouragement and commitment has on the lives of their learners. The book has stories from over sixty contributors, each giving a personal account of the impact of a teacher on their lives. There are contributions from well known people such as Ruairí Quinn, Brendan O’Carroll & Terry Prone but also from people who have no public profile but whose lives have been equally impacted by exceptional teachers. The book costs 15 euro. some pages, though not mine, can be read on the website. Finding myself with a spare hour yesterday, Saturday, in Dublin and having mentioned the Irish Writers' Centre here I dropped in and joined the free Ink Slingers Creative Writing Hour there 1.30-2.30. A most useful and enjoyable experience. There were about twenty participants, none of whom I knew and the facilitator/teacher was Sarah Maria Griffin who contributed a poem to the latest Boyne Berries though I didn't realise that until I came home. Her poem was called It's not cool to be broody at 23. Sarah's first collection of poetry, Follies, was published by Lapwing in April last year. During 2011 she was sent to New York was part of Culture Ireland’s ‘Imagine Ireland’ initiative, to represent contemporary Irish performance poetry as part of the Glór Sessions. She is currently Writer-in-Residence at Collinstown Community College, Clondalkin. The format of the workshop was simple. Sarah gave a writing prompt, participants wrote for roughly half an hour and then some read their efforts and Sarah commented. "The body", she explained, "that's the difference"
Sarah's response to the readings was immediate and great, picking out the positive in each and suggesting development in some cases. Was that story about the old coat based on my coat I wonder? Sarah will be participating in the 2012 Cúirt Over The Edge showcase reading takes place as part of this year's Cúirt International Festival of Literature at the Town Hall Theatre, Galway on Friday, April 27th, 3:00pm. I understand next Saturday will be Sarah's last day as facilitator of the Ink Slingers Workshop. It continues after that with a new facilitator and the website will have the full information. The Irish Writers' Centre has just announced their new collection of Creative Writing Courses for this term. Whether you're a total novice or a burgeoning star who needs that extra nudge, they claim to have a course for you. The Poetry Workshop with Paul Perry entitled Beyond the Workshop sounds interesting. In this eight-week ‘poetry lab’ we will discuss the elements of surprise and experiment in poetry and focus on the creation of new work and the revision of work-in-progress through the use of writing exercises and responses to readings. We will also look at issues relating to what comes beyond the poetry workshop and immerse ourselves in what Paul has developed as ‘the writing lab’. In this course, we will also start an on-line poetry blog, make our own poetry pamphlets and hold a reading. As does the one-day Writing Conceptual Poetry with Ira Lightman (pictured above) on Saturday 19 May. The workshop will feature exercises in collecting text and, if not "randomizing" one's own work, then making procedural selections that crack it open. Ira will run activities in double-column and multi-vocal poetry; devising and executing a concept to make a poem; using free software to make video and sound realizations of one's work and then tamper with it; and an exercise in writing a proposal to do a conceptual poem as an arts project, how to describe the work, sell it, budget for it, and show how it meets funding criteria. At our AGM Sunday Miscellany expert, Caroline, suggested we have a series of workshops for the group and in the best spirit of delegation we agreed and put her in charge of organising the event. We were lucky to get the services of poet and creative writer tutor, Barbara Smith, who held the first session last evening. The ten members present enjoyed the experience and claimed to have learned a lot from the exercises. We'll be watching and reporting on any improvements noticed!!! Barbara asked each participant to bring three "precious objects" and there was a fascinating array of things on show - a pair of socks, a radio, photographs, various small figures, books and notebooks etc. These were used in a series of exercises aimed at creating a fictional character in which poets and prose writers were catered for. Barbara read this poem, Mummy of a Lady Named Jemutesonekh by Thomas James as an example of a combination of research and suggestion to produce an intriguing piece of writing. Barbara, like myself, is in the final stages of correcting the proofs for her forthcoming poetry collection with Doghouse. The launch of her The Angel's Share is in Dundalk on Wednesday, 23 May. 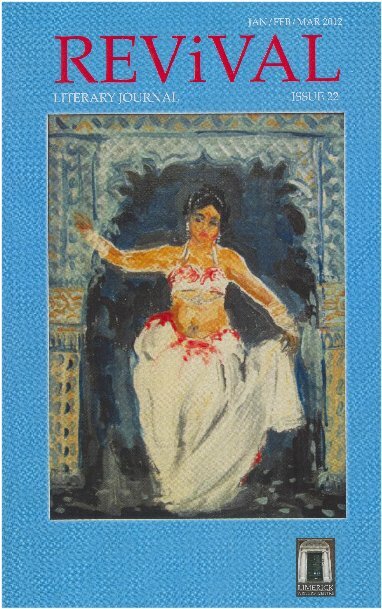 She also has a guest review of a poetry collection on this blog. 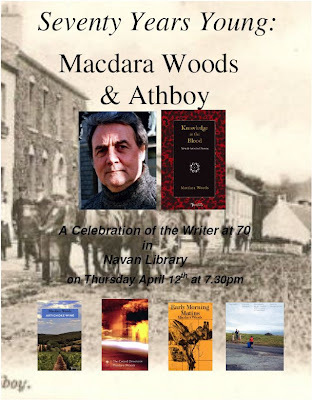 Navan Library celebrates Irish poet, Macdara Woods at 70. Macdara judged the first poetry competition in which I was longlisted or shortlisted, the Scríobh Poetry Competition in Sligo in 2006. My poem, Consumption, was included in the anthology of shortlisted poems for 2004-2006. Unfortunately that was the last year of that competition. As part of the prize we had a workshop with Macdara which I found very useful. I won't be able to attend in Navan on Thursday evening, Boyne Writers Group have organised a workshop for the same evening with the talented Barbara Smith, a fellow Doghouse poet. An interesting extract from an article in the Guardian about the composition of Bob Dylan's Like a Rolling Stone. It makes a lot of sense. "Just look at poets, who often rely on literary forms with strict requirements, such as haikus and sonnets. At first glance, this writing method makes little sense, since the creative act then becomes much more difficult. Instead of composing freely, poets frustrate themselves with structural constraints. Unless poets are stumped by the form, unless they are forced to look beyond the obvious associations, they'll never invent an original line. They'll be stuck with clichés and conventions, with predictable adjectives and boring verbs. And this is why poetic forms are so important. When a poet needs to find a rhyming word with exactly three syllables or an adjective that fits the iambic scheme, he ends up uncovering all sorts of unexpected connections; the difficulty of the task accelerates the insight process." The article on the website and in Saturday's Guardian is an edited extract from Imagine: How Creativity Works, by Jonah Lehrer, published on 19 April by Canongate Books at £18.99. 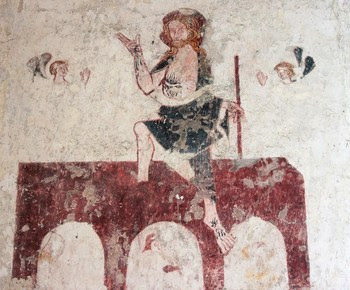 The Resurrection of Christ from the west wall, Church of St Mary, Chalgrove, Oxfordshire, England. This church was on my visiting list last summer when I drove through some of rural England. Alas I never reached it. Maybe this summer. The Church of St. Mary is famed for its magnificent medieval wall paintings, which date from about 1330. As throughout England, these murals were whitewashed over at the Reformation and lie hidden for centuries. They were rediscovered and restored in 1858 during a period of renovation. A Resurrection poem: Descending Theology: The Resurrection by Mary Karr. 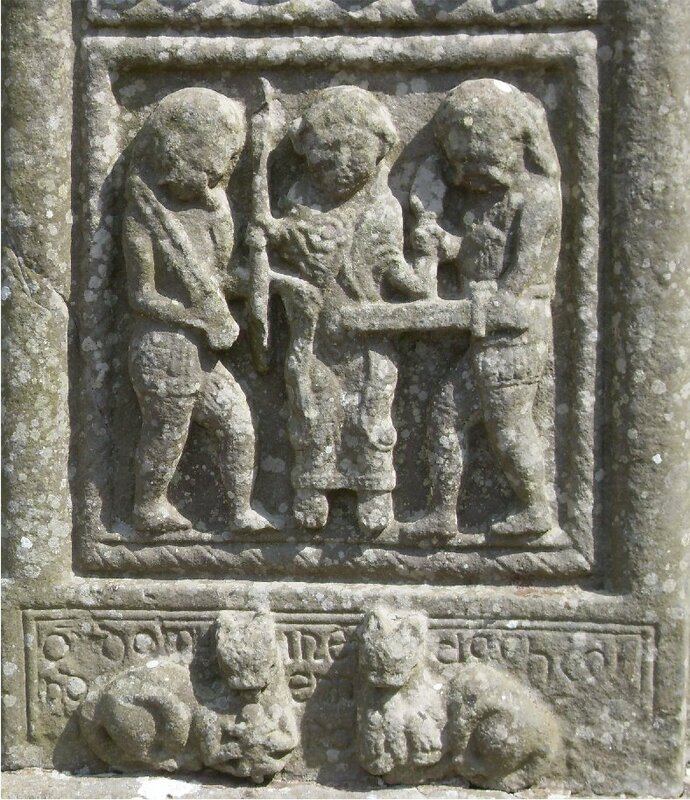 Castledermot, Co. Kildare, north cross, east face with the crucifixion in the centre and the twelve apostles in four sets of three around it. The Cross of Muiredach, from Monasterboice, County Louth. 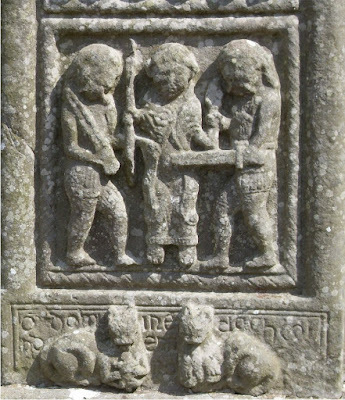 Bottom of the west face shows either the arrest of Christ, the mocking of Christ or the Ecce Homo (Behold the Man) presentation of the scourged Christ to the crowd. 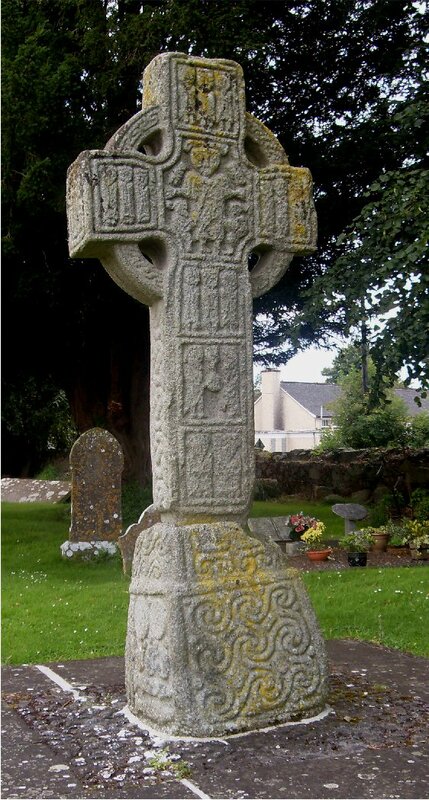 Below, on the base above the two cats is the inscription: OR DO MUIREDACH LASNDERNAD ..... RO, Pray for Muiredach who had the cross erected. These events are usually friendly occasions. You meet those you haven't met since your last visit, those you know but never met and one of two who are being published for the first time. Limerick Writers' Centre launched Revival 22 last night in the Riddlers Bar, Sarsfield St. the first time I've been in this venue. Nice cosy upstairs room with plenty of space and a nice stage. This issue is the first edited by Noel King and contains poems, a memoir (hippies and a stallion) and a review by poet Richard Halpern of Macdara Woods' The Cotard Dimension (Dedalus, 2011). The poets included include some familiar names and some unfamiliar including translations of poems by seven contemporary Macedonians poets. After the launch we had a reading, bilingual, by Irish poet Seán O’Coistealbha from his recent collection Stadhán. This was very well received; you didn't need to understand every word to appreciate his wonderful Connamara Irish. It included a very bitter poem on Holy Week as well as a memory of an emigrant uncle who returned for a magical month. Then we had an open mic which began and ended with songs from a singer-songwriter, and included two tributes to the recently deceased writer John Arden by the director of Limerick Writers Centre and by Fred Johnston of the Western Writers Centre. A great night, worth driving through the hailstones for! 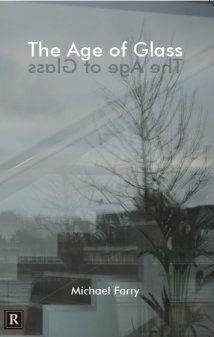 The Limerick Writers' Centre presents the April 'On The Nail' Literary Gathering on Tuesday 3 April 2012 @ 8.00pm. Upstairs@Riddler’s Bar (formally Foley's), Sarsfield St, Limerick. 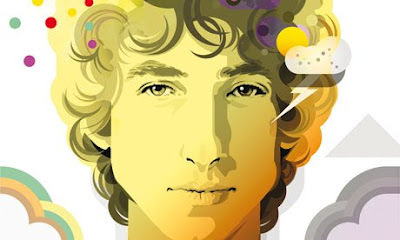 This month event sees the launch of Revival Literary Journal 22. I have a poem included which also appears in my forthcoming poetry collection. Once poems are published in a collection they normally won't be eligible for publication in magazines or for entry in competitions so this is the last outing for an Asking for Directions poem. One of our LitLab members, Mairéad Donnellan, also has a poem in this issue of Revival. As well as the launch there is a featured reader, poet Seán O’Coistealbha. Seán is a Conamara based poet who writes in both Irish language and English medium. Stadhan is Seán's second publication. Also Gabhar Theatre Company in association with the UL Drama Society bring us the second of our Radio Noir series of 10 minute plays, tonight Bloody Mary by Mike Reidy. Cast: Grace Cronin, Shane Vaughan, Paul Them and Hugh O'Brien. And there is an open-mic after the main event - a full night in store. Admission is free. Videos of previous reading are available on the On The Nail YouTube Channel. Scanning the news headlines online to spot the obviously false stories for the day that's in it. Household charge paid by 50%, 805,569 households, as deadline passes. No, this can't be true, the Late Late Show told people to refuse to pay! Burma votes in historic democratic election. Aer Lingus chief paid €1.2m last year. Now if it was Ryanair I'd believe it. Michael Buble nominated for Sony radio award.